For those interested to enroll or study to TESDA in Pampanga area here are those list of Tesda accredited schools and training centers. To ensure the availability of the TESDA courses you want to take into, first call the numbers provided below. 2. Achievers I Training & Development Center, Inc.
5. AMA Computer College – Angeles City, Inc.
6. AMA Computer College – San Fernando Pampanga Inc.
7. AMA Computer Learning Center of Apalit, Inc.
8. AMA Computer Learning Center of Guagua, Inc.
9. AMA Computer Learning Center of Mabalacat, Inc.
13. Arayat Institute of Technology and Trade, Inc.
15. Asia Pacific Academy of Management Science and Technology, Inc.
16. Asian Caregiving & Technology Education Centers-Apalit, Inc.
21. Central Luzon College of Science and Technology, Inc.
26. Colegio de Sebastian Pampanga, Inc.
27. College of Our Lady of Mt. Carmel (Pampanga) Inc.
28. DIONISIO S. ANGELES INSTITUTE OF TECHNOLOGY (D.S.A.I.T.)INC. 29. Don Bosco Academy of Pampanga, Inc.
33. Eastpoint Security Training Academy, Inc.
34. Eastwoods International Institute of Science & Technology-Apalit, Pampanga, Inc.
35. Eastwoods International Institute of Science and Technology-Guagua, Pampanga, Inc.
37. Emelita Wong-Galang Culinary Arts Studio, Inc.
38. EMR Construction and Manpower Services, Inc.
39. Exact Colleges of Asia, Inc.
40. Excell Asia Training Professionals, Inc.
42. Gateways Institute of Science and Technology, Inc.
47. Guagua National Colleges, Inc.
48. Holy Angel University, Inc.
50. ILEAD INSTITUTE FOR LEARNING INC.
51. Integrated Computer School Foundation, Inc.
52. Intercontinental School of Business & Information Technology Inc.
53. International School for Culinary Arts & Hotel Mgt. 54. International School of Advanced Career and Tech Inc.
57. International Technology Center Inc.
63. Le Roux Culinary Academy, Inc.
64. Lorraine Computer and Technical School, Inc.
65. Lorraine Technical Institute of Angeles City, Inc.
69. Mary the Queen College (Pampanga), Inc.
72. Moving Ahead Training Center Inc.
73. MST Training Center, Inc.
76. Outsource Net Global Cares Inc.
79. Pampanga Federation of Technical Institutions (PAFTI), Inc.
81. Philippine Technology Institute Inc.
82. PROMPT Care Learning Center, Inc.
83. Proskills Technical Training Center, Corp.
85. SACT St. Mutien College, Inc.
90. St. Mary’s Angels College of Pampanga Inc.
91. St. Nicolas College of Business and Technology, Inc.
92. St. Peter’s College of Angeles City, Inc.
93. STI College Angeles City Pampanga, Inc.
94. STI College San Fernando Pampanga, Inc.
95. Sutherland Global Services Philippines, Inc.
98. Tier of Outstanding Professionals College Inc.
99. Universal Communication Learning Institute Inc.
100. Universal Language Learning Institute, Inc.
102. We Serve Technical Training Center, Inc.
103. West Central College of Arts and Science Inc.
104. Xavier International College of Arts and Technical Sciences Inc. 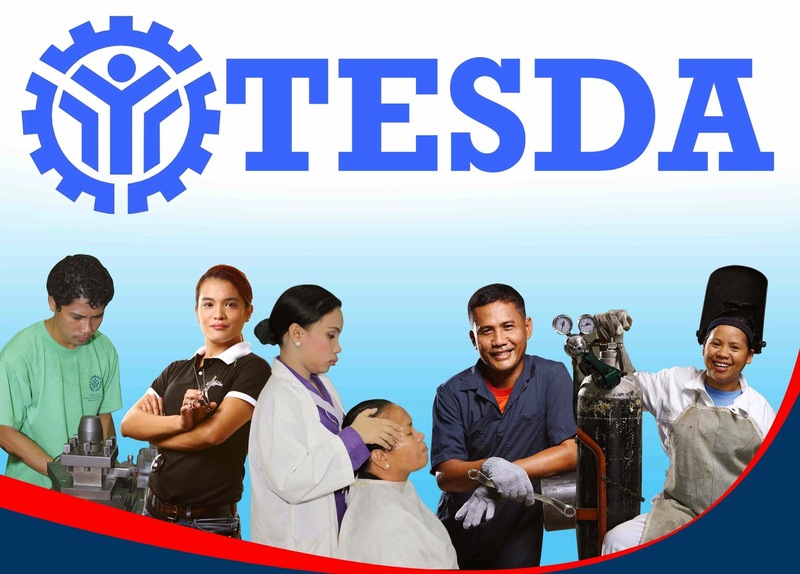 Enjoy and be a part of Tatak TESDA please leave a comment for any suggestions.